Palisades Entertainment, LLC, better known as Palisades Toys, was an American manufacturing and distributing toy & collectibles company geared toward the adult collector market. Established in 1994, the company generally worked within the same vein as competitors such as McFarlane Toys and NECA, producing detailed action figures, statues, plushes, and other collectibles of licensed properties until its bankruptcy in 2006. Palisades also developed the brand Factory X which continues under Limited by CAS Inc. In its heyday, Palisades was widely regarded a favorite company of serious toy collectors for its outstanding dedication to quality and consumers as well as its genuine passion for collectibles. Palisades was notable for its close relationship and commonality with toy fans. The official message board served as one of the company's strongest communication platforms where President and CEO Mike Horn and other employees would directly discuss their products with consumers. In fact, polls were often held to let fans decide upcoming products, and news coverage of the company frequently stemmed from Palisades' forum discussion. Horn and his wife, Kate, were also reachable through the buyer's office. The company's concern with adequate distribution of merchandise forced it to introduce Palisades Collector's Club. This offered exclusive figures and came in response to reports of difficulty in obtaining the Vanishing Cream Beaker figure. In terms of product quality, Palisades set high standards, particularly with its array of action figures. Such attributes included strong attention to detail and likeness, a high rate of joint articulation and bountiful accessories with tedious working functions. The company frequently employed designers from the fan community of each property they licensed and always credited staff and contributors on packages. Palisades also assigned help from various groups such as the painting and sculpting talents of Plan B Toys and accessory work by Industrial Zoo. The Muppet Show collection, celebrating the shows 25th anniversary, would become one of Palisades' flagship licenses. The line lasted nine series through 2002-2005 and included various convention and store exclusive figures as well as expansive playset. Aside from the aforementioned qualities, it also boasted an innovative technique in which a magnet placed inside the figure's head would allow its magnetically equipped hat to sit firmly in place. In 2001, Palisades acquired the license to produce Star Trek figures to commemorate its 35th anniversary. Concept designs were soon being developed and aimed for a style similar to the Playmates Toys' previous Star Trek line. However, despite such comprehensive plans, the figures were never produced. In 2003, Fun 4 All unveiled plans to produce Sesame Street action figures but had only developed prototypes before its bankruptcy in mid-2004. A few months later, Palisades obtained the hot license. The debut of this collection was culminated by the 2005 convention exclusive Super Grover with box art by Alex Ross. As one of the most highly anticipated figure lines at the time, the first series of Sesame Street was intended for a mid-2005 release but came to a stirring delay. In fact, two series of figures were planned, and many photos of the fully developed, packaged figure prototypes were released to the public. But the line would ultimately never come to fruition, according to Horn, due to lack of retailer support. This same problem haunted The Muppet Show and led to its cancellation that same year. Palisades products were sold throughout the world at various retail outlets including Toys R Us, KB Toys, Target, Electronics Boutique, Tower Records, Media Play, Sam Goody, Suncoast Video, and various comic shops. Due to the selectivity of the company's products, however, this range of retailers would eventually narrow to a select few and play a significant part in Palisades' floundering success. 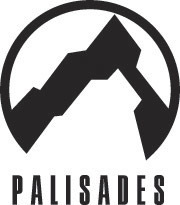 On August 1, 2005, Palisades began a partnership with Blister Direct that made them the exclusive distributor of Palisades merchandise in Japan. On September 18, Diamond Comics Distributors became Palisades' sole distributor of North America. While generally praised by the toy community, Palisades' uncompromising devotion to adult collectors proved financially cumbersome. Many products laid within a narrow niche market of passionate fans or were simply unusual in scale or design; an example would be Mega Meatwad, a 5½" tall, non-articulated figure of the simple, limbless character. Yet comprehensive quality and large supply were being exerted on such selective merchandise. Despite such a staggering level of production, Palisades' also offered some of its merchandise at considerably low prices compared to similar high-end products within the industry. A combination of these factors may have attributed to deep expense on behalf of the acclaimed toy company. The biggest blow to Palisades, however, would be during the production of Micronauts, Series 1. The company initially was given the impression that it would have access to the original Micronauts molds and tooling which would reduce production effort. This would not be the case, however, and plans were scaled back as everything would have to be built from scratch. Curiously, Takara would have no part in this Micronauts revival, so Palisades began seeking out vintage samples from fans to help its development. Throughout mid-late 2002, according to former Palisades toy designer Bryan Wilkinson, reports from China on the in-development line were positive. However, it would later be discovered that Ken Lilly, who was head of Palisades’ product development, had been deceived by a company acting as Palisades' middleman responsible for subcontracting the factory. By this point, a significant percentage of the commission was paid to the middleman, and the other portion was to be paid after contract fulfillment. This middleman apparently had no intention of ever collecting the rest, and instead, kept most of the money while farming out the production to another facility to develop the toys for a fraction of the cost and with no quality control. The middleman never received the rest of its money and vanished when pursued by Palisades. With numerous errors and mispackaged and defective parts, employees were appalled at the result, but at this stage, financial losses on the part of Palisades would be inevitable. Not only was the Micronauts line affected, but other lines assigned to the factory at the time, such as part of the early The Muppet Show series, suffered though not as heavily. Adding to the strain was slow shipment due to the U.S. dock workers' union dispute and lockout in October 2002. Already over-budget Palisades quickly addressed the poor quality but had few resorts and only one employee to handle it. The company could only replace badly damaged returned toys with other poor quality product which, according to Wilkinson, "might have been their worst mistake from a public relations point of view, as some felt that this indicated they were trying to still push and mark up known defective product." Nevertheless, while financial recovery would be impossible, Palisades attempted to salvage their reputation and pride with a second Micronauts series, a retooled Series 1, and a special Series 1.5, working more closely with the manufacturers this time. However, the company lost even more money in doing so, and retailers lost interest. A third series was put in development as a last attempt at redemption but canceled. The Micronauts revival would result in "an albatross for Palisades, their biggest financial loss ever." Problems with Palisades became evident as early as mid-2005. A forum poll the prior year let fans choose a Muppet pack-in character or accessory. However, due to a growing retailer disinterest in the line, the winning item, which was a cow, would not be released. Later that year, The Muppet Show was canceled entirely, after which Ken Lilly had posted the tentative series 10 through 14 lineup on their message board. Four items of the series were released while all of the rest never passed the prototype or planning stages. These consisted of basic, Mega, and Mini figures, in addition to playsets such as the massive Muppet Theatre stage. "There's not one person on the planet who wants this product line out more than me. It's been alluded to numerous times, but I'll say it here, on the record. The delays on this (and other) lines are directly related to the general lack of retail support. There's simply not enough orders to justify the massive production costs. That said, we are proceeding with production (and likely losing a ton of money in the process) so that we can try to get some momentum started and to satisfy collector desires." In addition, Horn said "I regret to inform you that after more than 11 successful years, Palisades Entertainment, LLC has discontinued its business of manufacturing and selling licensed and proprietary action figures, collectibles, toys and other goods. This development parallels a general trend within the toy industry"
News from the company became scarce in the following months, and it was reported that shortly before Christmas, a large number of key staff members were released. Palisades also did not appear at the 2005 Wizard World Dallas, 2006 UK ToyFair, or 2006 US ToyFair where they would typically have had a significant presence. Finally, on February 1, 2006, Palisades announced its bankruptcy and subsequent sale of the company to Limited by CAS Inc. Horn discussed the situation in a press release noting, "This development parallels a general trend within the toy industry, including the bankruptcy of one of Palisades’ largest customers." While Limited continued Palisades' Factory X branch of statues and prop replicas, Horn and his wife were not offered positions in the transaction. Aside from Sesame Street, the sudden disestablishment of Palisades had left several other planned products left unreleased. Those who bought the first series of Aqua Teen Hunger Force figures, for example, would not be able to complete their set with the second series intended for a February 2006 release. According to his LinkedIn profile, former Palisades president Michael Horn became president of SwagDog, an apparel company, in May 2007 as well as CEO of MVP Collection, a collectibles company, in April 2008. His wife, Kate, served as client advisor to Russel BMW from 2006-2008 and has been director of operations for SwagDog since 2009. In 2006, Michael Renegar took a management position at Limited by CAS (Which would later become FactoryX) and later that year founded a game company called Rebel Minis. In 2006, Ken Lilly founded Creatus Maximus. As of 2010, however, his LinkedIn profile lists him as freelance product development and design for the company. Greg Leeuwen, a former art director for Palisades, has since become the graphic and interactive designer at Crosby Marketing Communications. Phil Reasoner, who created image guides for Palisades went on to become the primary image guide supplier for GentleGiantCollectors.com. ^ Rustin Parr OAFE. Retrieved on 7-17-10. ^ My Interview with Action Figure Insider’s Julius Marx and ToyOtter – Part 3 AFHUB (July 3, 2009). Retrieved on 7-17-10. ^ Fanmode interview: Bryan Wilkinson (part 3) Fanmode (2009). Retrieved on 7-17-10. ^ Plan B-Toys Raving Toy Maniac (April 2002). Retrieved on November 2, 2008. ^ The Muppet Show: Series One Raving Toy Maniac (2001). Retrieved on November 2, 2008. ^ Crawford, Michael Muppets Series 6 - Clifford, Patrol Bear Fozzie, Statler and Waldorf MCToys.com (2003). Retrieved on November 2, 2008. ^ Palisades "toys around" with Star Trek's 35th anniversary celebration (July 2001). Retrieved on November 2, 2008. ^ Chapman, Phillip Fun-4-All to produce Sesame Street action figures in 2004 MuppetCentral.com (October 27, 2003). Retrieved on 7-17-10. ^ Cochran, Jay Palisades And Blister Partner For Exclusive Distribution Deal Toy News International (August 1, 2005). Retrieved on November 2, 2008. ^ Cochran, Jay Palisades Officially Names Diamond As Distributor To Hobby Retail Market Toy News International (September 19, 2005). Retrieved on November 2, 2008. ^ MEGA Meatwad Toywiz.com. Retrieved on 5-03-09. ^ Crawford, Michael Koozebane Kermit MCToys.com (2003). Retrieved on November 2, 2008. ^ Cappannari, Andrea and Azul, Rafael US shippers lock out dockworkers on West Coast World Socialist Web Site (September 30, 2002). Retrieved on 7-17-10. ^ Fanmode interview: Bryan Wilkinson (part 4) Fanmode (2009). Retrieved on 7-17-10. ^ Cochran, Jay Sesame Street Figures In Jeopardy!?! Toy News International (November 23, 2005). Retrieved on November 2, 2008. ^ Cochran, Jay Palisades Toys Will Be Unable To Attend Wizard World Dallas Toy News International (October 26, 2005). Retrieved on November 2, 2008. ^ Adrian What's Happening With Palisades? Action-Figure (January 31, 2006). Retrieved on November 2, 2008. ^ Cochran, Jay Changes at Palisades Toy Toy News International (February 1, 2006). Retrieved on November 2, 2008. ^ Aqua Teen Hunger Force Action Figures Mania.com (September 7, 2005). Retrieved on November 2, 2008. ^ Michael Horn - LinkedIn LinkedIn (2010). Retrieved on 7-17-10. ^ Kate Horn - LinkedIn LinkedIn (2010). Retrieved on 7-18-10. ^ "Rebel Minis". rebelminis.com. Retrieved 2017-01-29. ^ Kenneth Lilly - LinkedIn LinkedIn (2010). Retrieved on 7-17-10. ^ Greg Leeuwen - LinkedIn LinkedIn (2010). Retrieved on 7-17-10. ^ The 2008 Poppies - the Judges! MWC Toys (2008). Retrieved on 7-17-10.